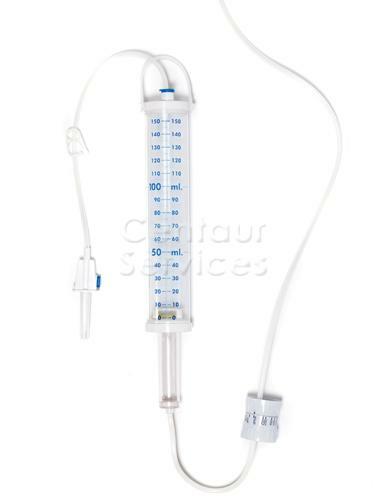 The burette set is about simple,gavity fed infusion offering increased control of the volume infused compared to a standard set. Top roller clamp swapped for a simple pinch clamp. Below are some recent questions we've received regarding Aqupharm Accurate Control Burette Intra-venous Infusion Set, including answers from our team. How many bags can you use this with? This is more expensive than the current lines I use & can use them with 2 bags of fluids. Strictly speaking these are always intended to be single use only. In fact it might be possible to carefully remove the connection from an empty bag and without contaminating it, insert it straight into a new bag of fluid. Depending on your situation this might be appropriate and I am sure it is practiced sometimes. However there is always some possibility of contamination through doing so. I would have to suggest you check with your vet about advice on this.